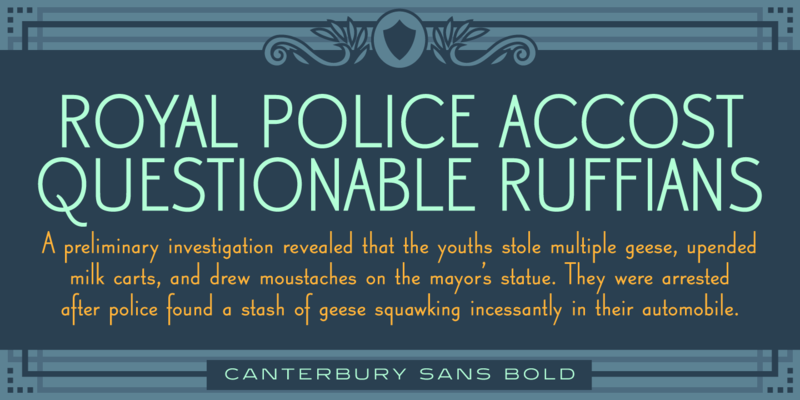 Canterbury Sans is a six-weight sans serif font family with a small x-height. 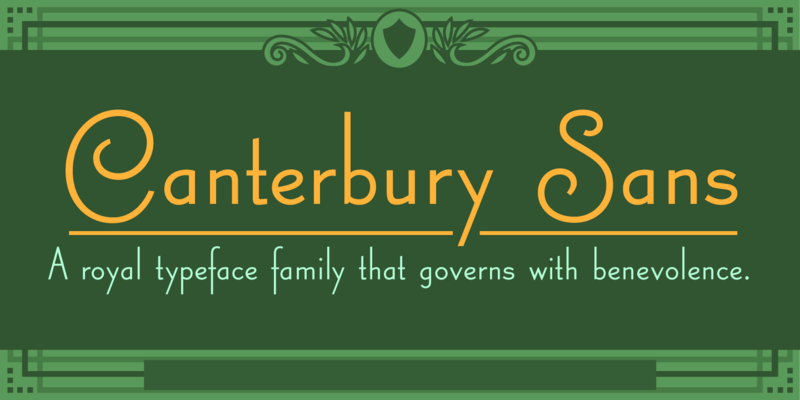 It was designed and produced in 2004 by Steve Jackaman (ITF), and was inspired by the commercial success of the Canterbury Old Style family, which debuted in 1992. 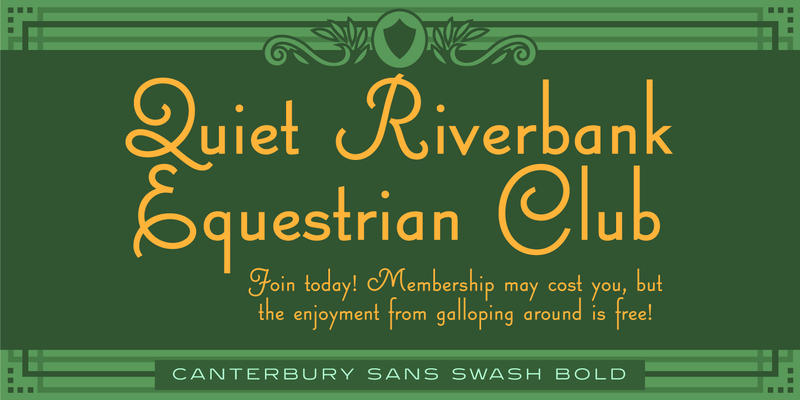 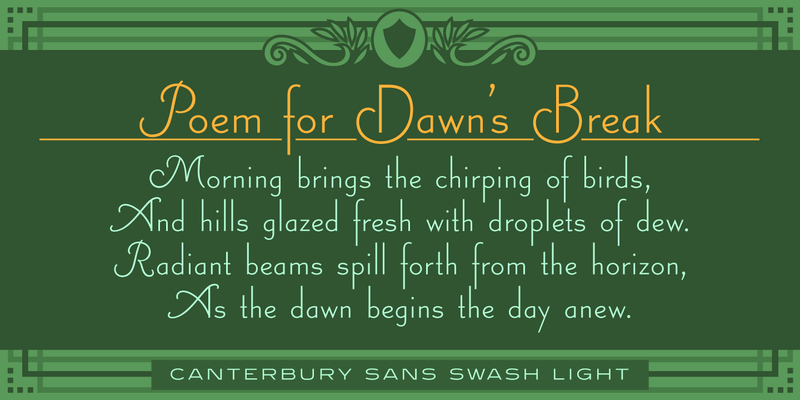 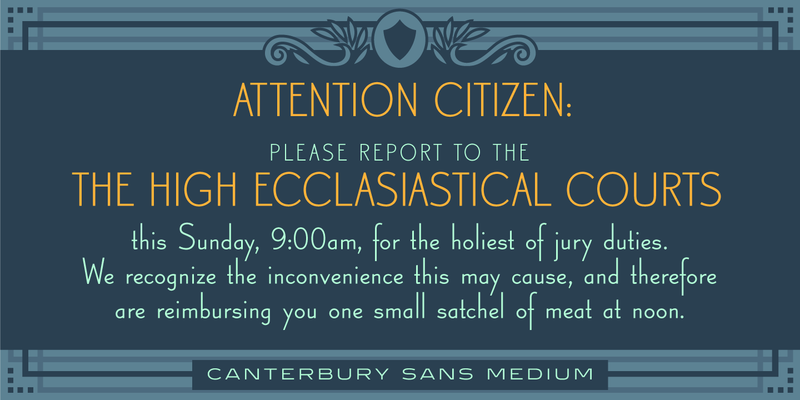 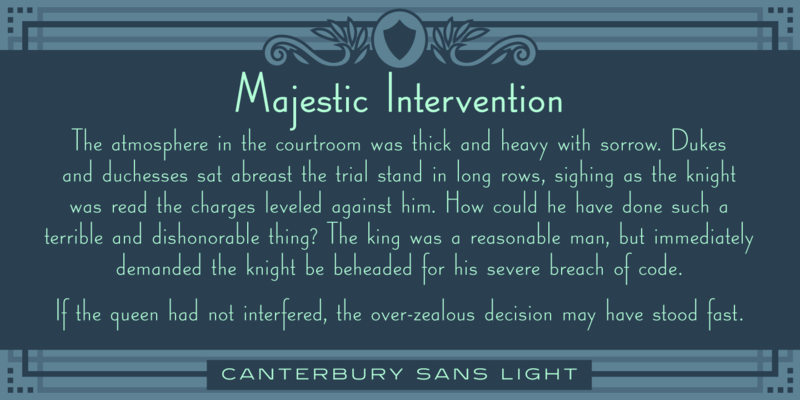 Canterbury Sans has a whimsical, old-time feel, and handsomely distinguishes itself at all sizes. Canterbury Old Style, its serif sister font, complements the family with its flowing forms. 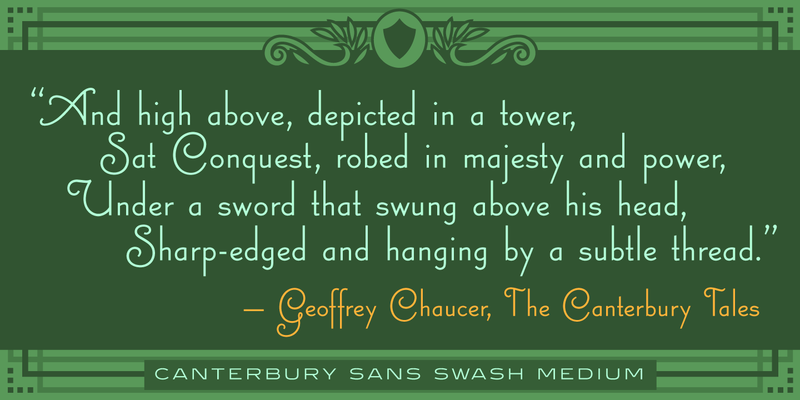 Canterbury Sans is a trademark of International TypeFounders, Inc.